I like jackstands AND a big chunk of wood, thicker than rib cage or head. Yeah: EGR circuit cleaning, Intake Manifold cleaning, Oil Catch Can install. Watch @NutzAboutBolts videos, pinned at top of 3rd gen maintenance sub-forum, there's video covering all of these. 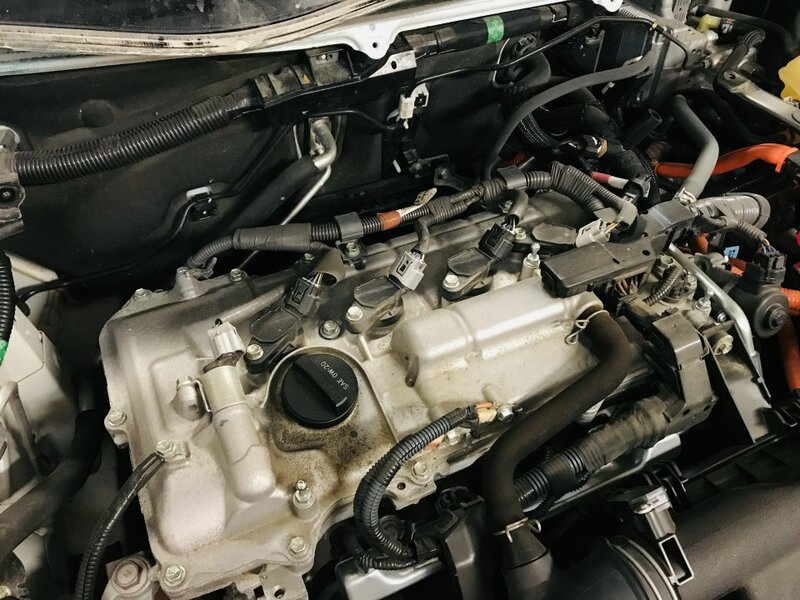 An easy first step is to check the EGR "pipe", connecting between EGR valve and intake manifold. 1. 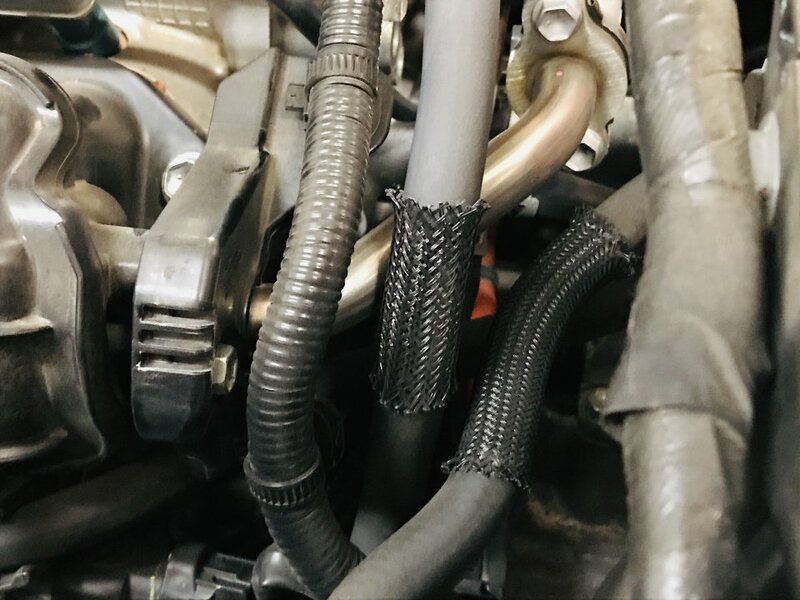 If you're lifting off the throttle body, there's no need to remove it's coolant hoses: just lift the throttle body out of the way and tie it off to the inverter with some twine. 2. 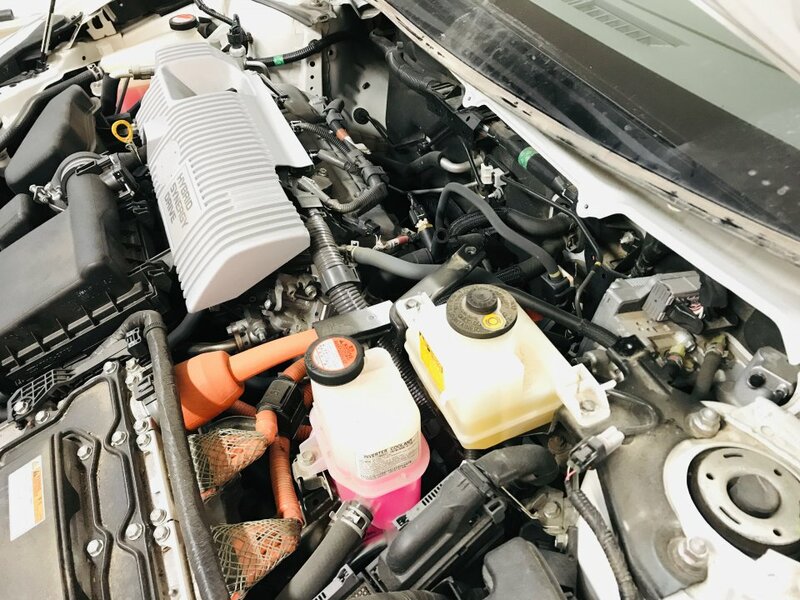 When removing the EGR valve/cooler, if you first drain 2 quarts of coolant at the radiator drain spigot, into a clean container, you'll have no spillage when the coolant lines are pulled off. Just be careful when removing the cooler, there'll be a little coolant trapped at the lower back corner. When done pour all drained coolant back into the reservoir; the level may be a bit high, but should settle back down with a little driving. 3. Hang onto the EGR cooler back gasket when removal: it has no clips and is very easy to drop. 4. Probably best to remove engine underpanel before starting on full EGR removal: access from below is handy, and if you drop things there's a chance they'll fall right through. A 12 mm ratcheting box wrench is is not mandatory but handy, for disconnectin EGR cooler from exhaust. Robert Holt and amos like this. mikey_t and Mendel Leisk like this. Yeah the EGR pipe is easy first step, and gives good feedback. 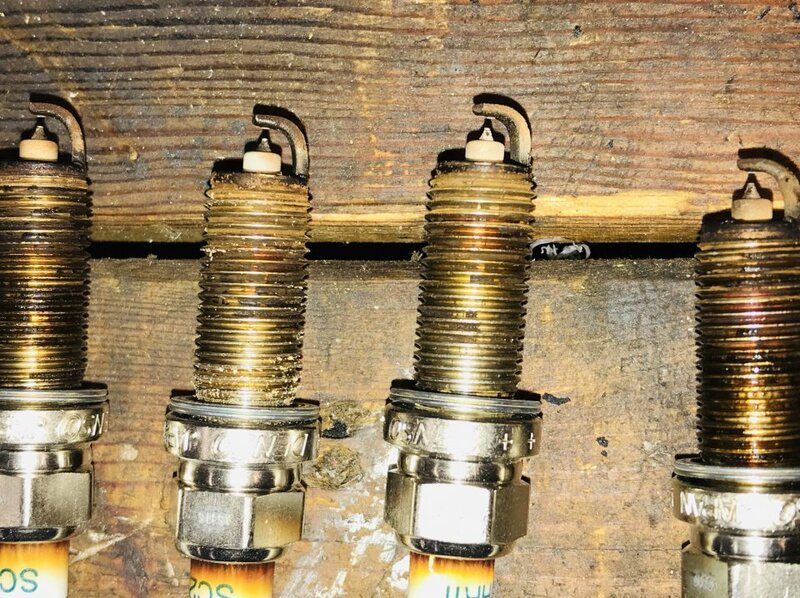 Properly functioning EGR is apparently keeping engine temperatures down, and if it's run a protracted period pretty much clogged, you may be having head gasket failure. Do a leak-down test? Raytheeagle and JC91006 like this. You should actually clean out the EGR pipe and things will improve. Cleaning the pipe itself won't improve a whole lot. But its still crucial to see what's inside because it gives you an idea how clean the rest of the EGR path is.  If you can take a few pictures along the way to your repair process. Hopefully we can see the car's EGR circuit at 230k+ miles and if what you're doing will solve the issue. Started thinking about it more, the 12 volt battery is 2015 vintage. Guessing it is time to replace too, How do I get the 2015 Prius screen to display battery voltages? These batteries are quite robust, I think you'll be fine with the 2015 battery for a few more years. I'd suggest 87 octane ethanol-free gasoline first, but you don't have any near Portsmouth. Almost ready to replace spark plugs and inspect EGR plumbing. How does the plastic shroud come off of the EGR tube at the intake manifold connection? Also, how do I get the Ziptie holders free from the metal backing?? See that bolt head in the middle of the shroud? Sneak a 10 mm box wrench over it and press hard when turning. Or maybe a compact 1/4" ratchet wrench with regular length socket? It's a pain. To release the zip ties from the metal bracket needle nose pliers with bent tips (45 deg work good). And/or plastic fastener pry tool. Maybe the two together. Another pain, lol. Sometimes those fasteners are easier to get at when the component is half off. Watch @NutzAboutBolts videos, he deals with all of these. Makes it look too easy. Replaced the plugs. Hopefully engine runs better. 139,000 miles on these.